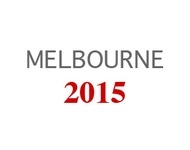 A group to discuss and share information and resources relating to the conference: Jesuits Melbourne 2015. This document invites the reader to reflect upon the rich background and understanding of justice and its role in the Jesuit university, especially as it has become the pivotal value and aim of Jesuit institutions since first articulated in 1975 at General Congregation XXXII. The Jesuit Digital Network is a new-generation online platform for sharing digital educational resources and hosting learning communities around the globe. The Network is gathering resources from Jesuit institutions to harness the collaborative potential of educators and learners in every region. In 1998, Saint John's Abbey and University commissioned renowned calligrapher Donald Jackson to produce a hand-written, hand-illuminated Bible. This website invites you to explore this work of art that unites an ancient Benedictine tradition with the technology and vision of today, illuminating the Word of God for a new millennium. Presentation on the Global Jesuit Case Series from Jim Joseph, Dean of the Madden Business School at LeMoyne College. Presentation on the merits of a master’s program on Jesuit/Ignatian Education and Pedagogy for educators, especially but not exclusively, of the Jesuit secondary/pre-secondary schools in the world. This is a program to introduce participants, systematically, to the topic and prepare them to work meaningfully on the identity and mission of our Jesuit schools worldwide. The Journal of Management for Global Sustainability is a peer-reviewed scholarly journal devoted exclusively to the publication of original research in the field of management and global sustainability. Global sustainability is the broad set of interconnected issues that encompass, but are not limited to, achieving environmental preservation, social entrepreneurship, poverty eradication, social justice, desirable production and consumption patterns, species preservation, and spiritually rich lives at this time in our species’ history on this planet. The journal publishes articles on how productive enterprises contribute to realizing and achieving global sustainability to create socially just and spiritually-whole ways for all species to thrive forever. The journal welcomes submissions from all disciplines for manuscripts that contribute to our academic understanding of the role of management in achieving global sustainability. These articles shall be subject to a double-blind review process overseen by an international editorial board. Submissions of theoretical work, empirical studies, book reviews, pedagogical tools and practitioner manuscripts are all encouraged. Presentation on The AUSJAL Student Formation Program on Ignatian Leadership (PLIUL) from Melbourne 2015.